The NAGI Foundation is a local 501(c)(3) nonprofit providing support to the Native American communities located in the Phoenix Metropolitan area by providing free and low cost veterinary care, medical treatment, temporary housing and adoption services for stray or abandoned animals. In addition we provide animal training and educational opportunities in the community. Must be at least 16 years of age, unless accompanied by an adult. BECOME A VOLUNTEER IN THREE EASY STEPS! Once we’ve received your application, we will call you to discuss our upcoming volunteer opportunities and work together to determine which may be the best fit for you. Please search our calendar for upcoming orientations. For questions or further assistance, please contact us at getinvolved@nagifoundation.org. Have items you are interested in donating to help support the needs of the community and their animals? Please contact us at getinvolved@nagifoundation.org to coordinate a drop off/pick up for donated items. Go to smile.amazon.com, log in to your account, go to the “Your Account” drop down and add “The Nagi Foundation” as your charity. 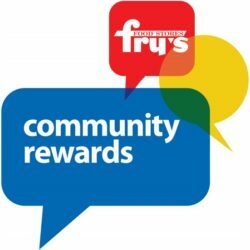 Click HERE to learn how you can link your Fry’s VIP card to donate to The Nagi Foundation every time you shop at Fry’s! Our programs in the Salt River Pima- Maricopa Indian Community involve community members of all ages. Our animal health and welfare clinics provide support to entire families as we work to improve the lives of animals in the community. Additionally, we are committed to helping children and youth, to develop the life skills they need to become caring, responsible and empathetic individuals by using canines as facilitators for change.